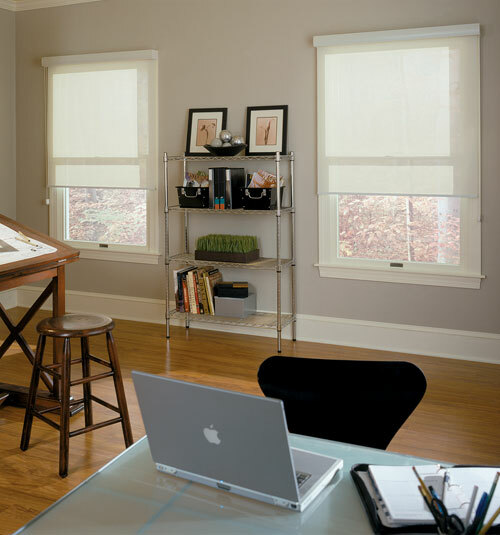 Solar shades are a version of the classic roller shade. Built with mesh fabrics that allow a view to the outdoors, reduction of sun glare, heat and provide great UV protection. The solar shade has a transparency allows views during daylight hours but also allows the same view of interiors at night when lights are on, so solar shades work best in living spaces where privacy is not a priority at night. Our solar shades are available in a wide range of densities, colors and textures, and degree of transparency that best suits your needs. Equally appropriate for commercial and residential interiors, the solar shade has a sleek, minimalist profile. 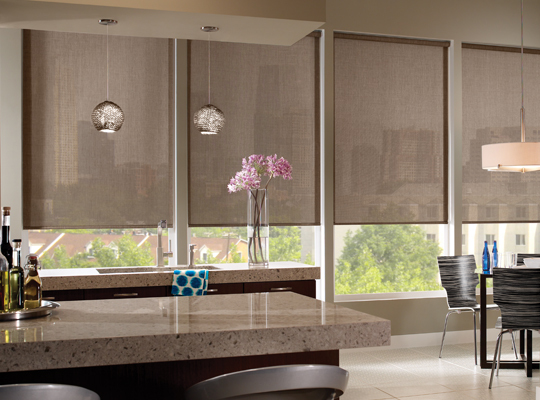 •    Shades can be one of the most economical solutions for oversized windows or doors. •    Simple operation, with spring, clutch rollers or even motorization.